Fred Zinnemann was a successful Austrian/American film director who won four Oscars in a 50 year career which began in Germany and which included such classics as 'High Noon' and 'From Here to Eternity'. Fred Zinnemann was born Alfred Zinnemann in Austria on April 29, 1907, into a comfortably off Jewish family. As a young man in post First World War Austria, a defeated, depressed country, he escaped the claustrophobic atmosphere of defeat by walking in the mountains and through music. His first choice for a career was as a musician but he did not have the talent to make it a viable career choice. His father was a doctor and his family expected him to study for medicine or the law and in 1924 he entered the University of Vienna to begin his law degree. He hated the work and escaped as often as possible into the surrounding mountains. He also discovered movies at this time and every week would go to see the latest film. He was particularly inspired by Von Stroheim's 'Greed' in 1924 and King Vidor's 'Big Parade' and Eisenstein's 'Potemkin' in 1925. Together with a school friend, Gunther von Fritsch, he decided on a movie career and in 1927, aged 20, he persuaded his parents to allow him to leave University and go to the École Technique de Photographie in Paris to study film and camera technique. He stayed there for 18 months until his visa ran out and then he left to work as assistant cameraman in Berlin. In 1929 he assisted cameraman Eugen Schüfftan on the on the film 'Menschen am Sonntag' ('People on Sunday'), working with future Hollywood directors, Robert Siodmak and Billy Wilder, among others. The film came out in 1930 and was a surprise cult hit. Zinnemann could see that with the advent of Talkies, and with filmmaking in Europe stagnating, it would be advantageous to his career to go to Hollywood to learn about Talking pictures. In October, 1929 he crossed the Atlantic and joined his old friend Gunther von Fritsch who was already in Manhattan. He moved to Hollywood, where he met Carl Laemmle, head of Universal Studios, and was given work as an extra in 'All Quiet on the Western Front' in 1930. After six weeks he was fired for arguing with one of the assistant directors. He became assistant to the Austrian stage and film director, Berthold Viertel and stayed with him for for an invaluable two years, learning about scripts, casting and scene construction and meeting a cross-section of Hollywood society including Greta Garbo, Sergei Eisenstein and Charles Chaplin. He also met Robert Flaherty, the man whom he later described as "the greatest single influence on my work as a filmmaker." Robert Flaherty was a pioneer of the documentary film and had already had a major hit with 'Nanook of the North' in 1922. Zinnemann returned to Berlin for several months in 1932 in order to work for him and learned lifelong lessons about the importance of authentic locations and the use of non-professional actors. He then returned to Berthold Viertel Hollywood where he was assigned to assist Busby Berkeley on dance sequences of "The Kid from Spain" at Goldwyn Studios. Zinnemann had learned a great deal during the previous few years and in 1934 he had the opportunity to put into practice the theories he had assimilated. At the request of the government of Mexico he directed a drama documentary about a fishing village in Mexico. Called 'Redes' or 'Nets' but called in English 'The Wave', the film was made as a Silent, with sound added later. It took seven months to make, and was Zinnemann's first project as a director. For two years he found work difficult to come by. During this time Zinnemann got married and worked on films intermittently, assisting directors such as Henry Hathaway, William Wyler (on 'Dodsworth' in 1936) and George Cukor (on 'Camille', also in 1936). When 'The Wave' was finally released in America in 1937 it led to an offer from producer,Jack Chertok, to direct a film short for MGM. This led to a series of shorts, eighteen in all, between 1937 and 1942, with titles such as 'The Story of Doctor Carver' in 1938, 'The Ash Can Fleet' and 'Forgotten Victory' in 1939, 'A Crime Does Not Pay Subject: 'Forbidden Passage'' in 1941 and 'The Lady or the Tiger?' in 1942. In 1938 Zinnemann received the Academy Award for Best One-Reel Short for 'That Mothers Might Live'. In 1942 Zinnemann was given his first feature film assignments for MGM, two thrillers, ' Kid Glove Killer' starring Van Heflin and 'Eyes in the Night'. He followed their success with his first major hit, 'The Seventh Cross' in 1944, starring Spencer Tracy. The film followed escapees from a Nazi concentration camp and vividly and realistically portrayed the harsh conditions in the camp. One of the themes dearest and most personal to Zinnemann was the resistance to fascism, which is unsurprising bearing in mind his background as a European Jew. At the end of World War II, he received the devastating news that his parents had been separated during the war and were dead. His father had been deported to Poland and murdered in 1941. His mother died, almost certainly in Auschwitz, in 1942. Zinnemann's brother, George had immigrated to America in 1938 and joined the military, where he stayed until 1971. Zinnemann, himself had become a naturalised American citizen in 1936 and he tried repeatedly to join the OSS, but was refused. 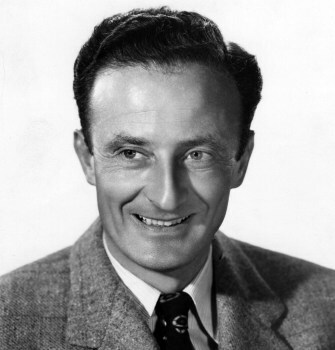 After 'The Seventh Cross' Zinnemann was forced by his MGM contract to direct two 'B' movies, 'Little Mister Jim' in 1946, and 'My Brother Talks to Horses' in early 1947. Zinnemann did not want to make them and neither movie made a profit. Frustrated, he began turning scripts down if he thought they were poor. MGM responded by putting him on suspension without pay. He was reinstated after just a few weeks when he was requested by Swiss producer, Lazar Wechsler, to direct 'The Search', which reflected one of Zinnemann's passionate causes - the fate of the thousands of young children who had lost their home and parents during the war. He chose newcomer Montgomery Clift for the starring role and the film was praised by the critics and performed well at the box-office. It won an Oscar for the screenplay and cemented Zinnemann's position as one of Hollywood's top young directors. Zinnemann made one more film for MGM, 'Act of Violence' in 1948, a noirish movie about the return of a POW to America after the war. The film, which starred Van Heflin, Janet Leigh and Robert Ryan, was well received by the critics but did not fare well at the box-office. After this Zinnemann asked MGM to end his contract. His request was granted and for the rest of his career he remained independent and made only movies which he liked and in his own way. It was the beginning of a golden period for Zinnemann. He turned down numerous scripts until he was contacted by the young filmmakers Carl Foreman and Stanley Kramer. With Kramer as producer, in 1950 he directed 'The Men', scripted by Foreman. The movie was a bleak look at the problems suffered by paraplegic ex-servicemen. It starred Marlon Brando in his first film and Zinnemann used his realistic documentary techniques to great effect, using real patients at the Birmingham Veteran's Hospital as actors. 'High Noon' is a classic Western and marks the high point of Zinnemann's career as a director as well as Kramer's as a producer and Foreman's as a writer. With his tormented hero, Marshall Kane, played by Gary Cooper, Zinnemann created a new kind of movie - the "psychological western". It was nominated for 8 Academy awards and won 4, including Best Actor for Cooper and is still hugely popular today. 'From Here to Eternity' is a powerful drama set on a US army base during World War II. Its star-studded cast included Deborah Kerr, Burt Lancaster and Montgomery Clift. Zinnemann won the Best Director Academy Award out of the eight Oscars which the film won. He coaxed memorable performances from his stars and both Frank Sinatra and Donna Reed won Best Supporting Awards, each playing against type. With his reputation as a safe pair of hands established, Zinnemann was offered some big budget projects. 'Oklahoma!' in 1955 was a moderate success and 'The Nun's Story', starring Audrey Hepburn, in 1959 was a massive hit, both critically and commercially. Zinnemann was nominated, unsuccessfully, for the Best Director Oscar. In the 1960s Beginning with 'The Sundowners' in 1960, which received five unsuccessful Academy Awards including Best Picture and Best Director, Zinnemann began producing the films he directed, establishing his own production company, Highland Films. He made a political drama in 1964, 'Behold a Pale Horse', set in the Spanish Civil War and starring Gregory Peck. The film used the newsreel method for authenticity but it flopped badly. Omar Sharif, who appeared in it, referred to the movie as a "bad film" by a "good director". Zinnemann's next classic was the lavish costume drama, 'A Man for All Seasons', starring Paul Scofield as Sir Thomas More. The movie won six Academy Awards, including Best Picture, Best Actor ( for Scofield) and Best Director for Zinnemann, his second such Oscar. Zinnemann next decided to film a pet project of his - 'Man's Fate' - an adaptation of the 1933 novel by André Malraux, which he had found immensely moving as a young man. It was one of the great disappointments of his life when MGM, who had agreed to produce the film, decided in 1969, after three years of work, that they could not afford to make it. Zinnemann later sued the studio for damages and the case was settled in his favour in 1973. After four years without a film, Zinnemann was offered the chance to direct 'The Day of the Jackal', starring Edward Fox. The film was another hit. His crowning achievement at the end of his career was 'Julia' in 1977, based on the life of playwright Lillian Hellman. Starring Jane Fonda and Vanessa Redgrave, the film received eleven Oscar nominations and won three including Best Supporting Actor for Jason Robards, and Best Supporting Actress for Vanessa Redgrave. His last film was 'Five Days One Summer' in 1982 which fared badly both commercially and critically. After it Zinnemann retired from filmmaking. In 1935 he married Renée Bartlett, an English girl working in the costume department at Paramount. The couple had one son, Tim, in 1940. Renée Zinnemann actively helped in her husband's career and often contributed notes on screenplay material or screenings. He brought out his autobiography, called simply 'Fred Zimmermann, An Autobiography', in 1992. Fred Zinnemann died of a heart attack in London, England on March 14, 1997. He was 89 years old. Zinnemann films are still celebrated for their sense of realism, a technique he learned from working with Robert Flaherty. As well as insisting on location shooting such as hospitals and refugee camps, he also strove for a documentary feel by employing non-actors whenever possible. He was a passionate believer in the power and importance of the script and was well known for his attention to every detail of a shoot. Zinnemann was able to direct any genre. The fact that he directed the musical 'Oklahoma!' as well as, for instance, 'The Men', the Western 'High Noon' and the war film 'From Here to Eternity' is a tribute to his versatility and skill.